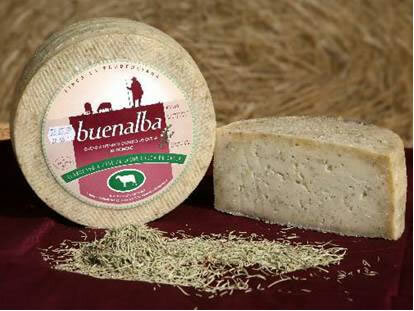 Buenalba Artisan Sheep’s Milk Cheese with Rosemary is made on the Prudenciana Farm in the heart of La Mancha, Spain. Established by the Álvarez Valera family, the estate is now run by 4th generation family members. Since the early 80s the farm’s master cheese-makers have been crafting their award-winning artisan cheeses from the Prudenciana farm’s own Manchega sheep herds. Carefully crafted with the utmost respect paid to regional tradition, only the finest raw ingredients are obtained for this 100% raw sheep’s milk cheese. Widely used in Mediterranean cuisine, rosemary grows prevalently on the dry, rocky Spanish countryside. For this unique cheese, fresh, chopped rosemary leaves are blended directly into the paste during production. The formed cheese is then covered with rosemary and slowly matured for 4 months. Stunning, with a wonderfully earthy aroma, Buenalba Artisan Rosemary Sheep’s Milk cheese is imparted throughout with the pleasant flavor of rosemary that beautifully complements the cheese’s rich sheep’s milk sharpness. It is an exceptional flavor that exquisitely reflects La Mancha’s rustic terrain. Application: This divine twist on classic Manchego is perfect for any cheese tray and goes well with meaty, sweet olives and crisp crackers or crusty bread. It is also wonderful when melted on lamb. Pairing: With a Spanish white like Verdejo, Buenalba Artisan Rosemary Sheep’s Milk cheese will bring out the herbal qualities of this fresh, fruit forward wine. Gluten free, these premium Crackerthins are skillfully made with potato starch and rice flour in small batches to ensure flavor and texture consistency and nutritional quality. 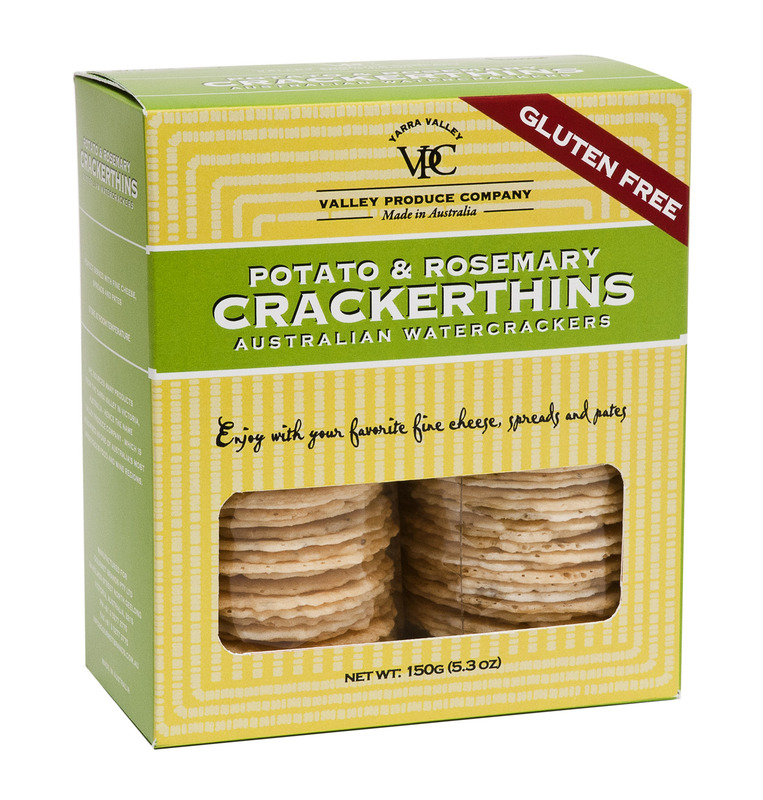 Packaged in two stay-fresh sleeves that maintain each Crackerthin’s distinctive crispiness and crunch, VPC Potato & Rosemary Crackerthins have a lovely, delicate taste of rosemary. They are excellent for cheese platters, are great with jams or dips and go with anything else calling for gourmet crackers.